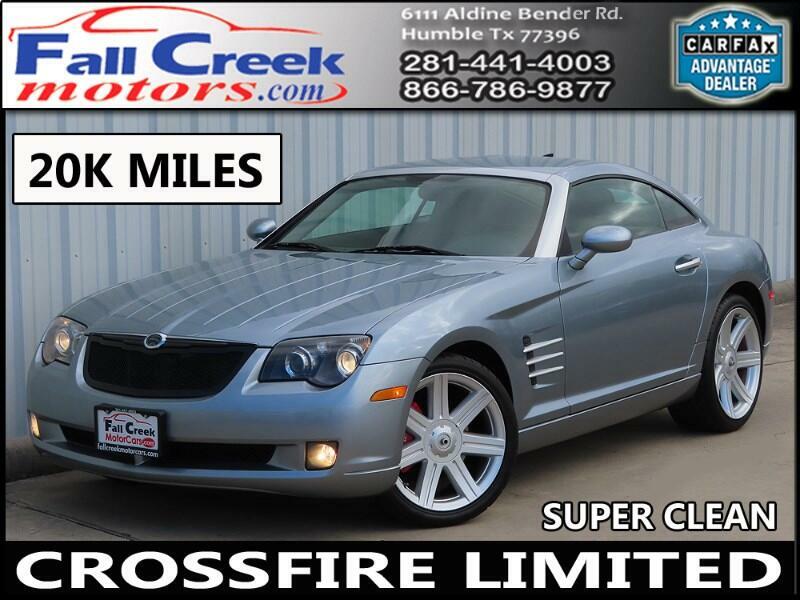 ***100% CARFAX GUARANTEED***2008 CHRYSLER CROSSFIRE LIMITED COUPE 3.2L REAR WHEEL DRIVE LTD***THIS CROSS FIRE HAS SUPER LOW MILES AND IT IS IN GREAT CONDITION INSIDE AND OUT. IF YOU ARE LOOKING FOR A VERY LOW MILEAGE SUPER CLEAN CROSS-FIRE THEN LOOK NO FURTHER, THIS IS THE ONE FOR YOU. Message: Thought you might be interested in this 2008 Chrysler Crossfire.